How to recover recently deleted notes back to iPhone? How to retrieve iPhone missing notes? Read here to get back recently deleted notes to iPhone at ease. Accidentally deleting note is frequent for iPhone users and this could bring bad effect to users for notes are playing important role in our daily life. How to recover recently deleted notes back to iPhone?Don't panic, this guide will show you methods to retrieve iPhone missing notes easily and simply. To be honest, if you have an iTunes or iCloud backup for your deleted notes, the easiest way is to restore from iPhone backup directly. However, you need to take the risk of wiping other new added data on iDevice by data from backup. Thus, you have two choices: get back deleted notes to iPhone directly or extract and find lost notes from iPhone backup selectively. Both need the help from iPhone notes data recovery tool--iFonebox. As a powerful iOS data recovery tool, iFonebox can not only retrieve deleted notes from your iPhone directly, but recover them to your iPhone directly, so cool. Also, if you have an iTunes or iCloud backup for your lost notes, you can extract and restore missing notes from backup selectively, without wiping any data on your iOS device, unlike restoring from iPhone backup directly. 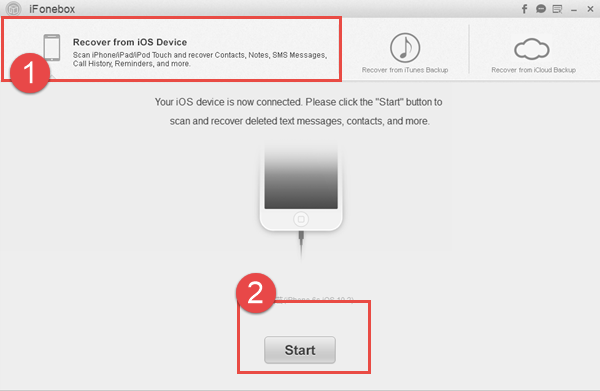 Detailed steps are shared below to find deleted notes to iPhone at ease. Undoubtedly, it is necessary to download and install iFonebox on your computer firstly. It works on both Windows and Mac computer. Run iFonebox. Choose "Recover from iOS Device" mode. Please plug in your iPhone to the computer with USB cable so as to scan and recover lost notes back to it. Once connected successfully, your iPhone will be detected by iFonebox. Click "Start" button to begin. Notes: if it the first time for you to connect your iPhone to the computer, you have to click Yes button on your iPhone screen to trust the computer firstly. Scan notes from iPhone. Click on Notes item to start scanning and analysis process. Preview and choose missing notes to recover. You can select all those missing notes after scanning, and then click Recover to Device button to transfer all found notes to your iPhone directly. If you have an iTunes or iCloud backup for your deleted notes, you can extract and find deleted notes from iPhone backup selectively without wiping any data on your iDevice. 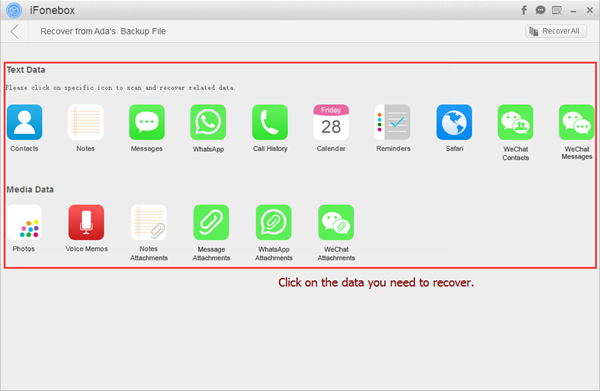 Here, I will take Recover from iCloud Backup as example. 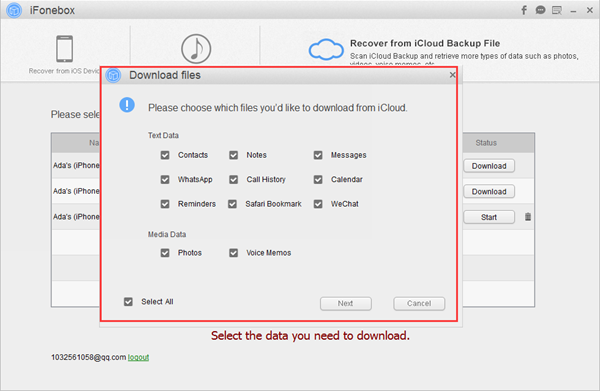 Download Notes from selected iCloud backup. After you have selected one iCloud backup to download, iFonebox will start the downloading process. Also, you can select only notes to download to save more time. Scan and preview lost contacts from downloaded iCloud backup. 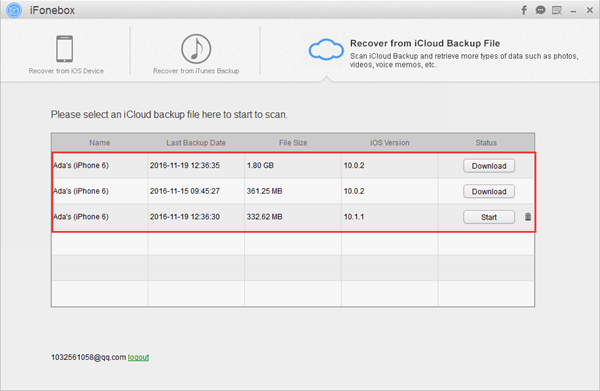 After downloading process finished, you are able to access and view those missing notes from iCloud backup. Just click on Notes item and scan lost data from it. You can transfer recovered notes back to your iPhone directly by clicking Recover to Device button.